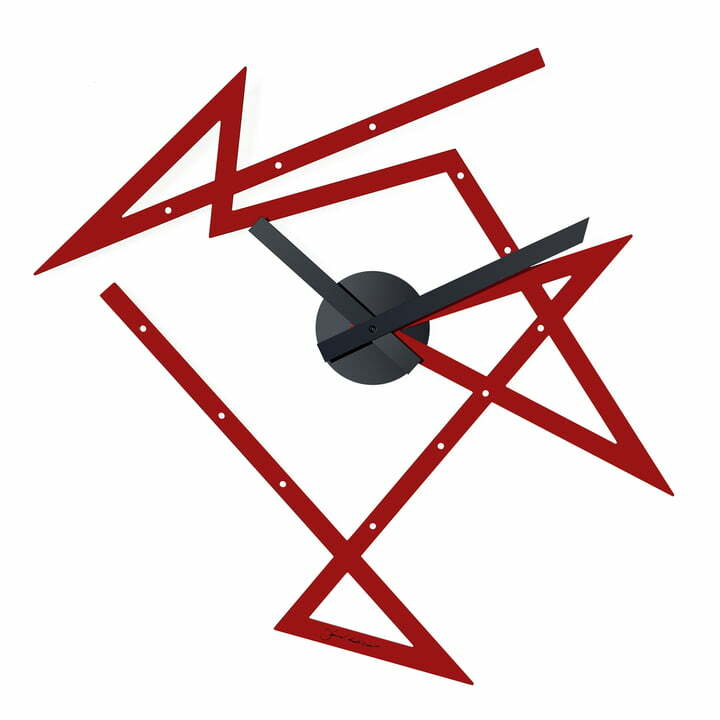 Time Maze, designed by Daniel Libenskind for Alessi, is a wall clock with a red polyline body. The design of the wall clock explicitly recalls the architectural language of its author, which is characterised by discontinuous lines, split surfaces, cuts and holes. The mechanism of the clock is located in the centre of the structure, which is shaped by the red line. The idea behind the design of the sculptural clock is that of the "labyrinth of the time". According to this idea, Libeskind states, time never flows in circles, but in unexpected corners and edges. The shape of the Maze Wall Clock takes up this idea with its deconstructivist inspired design. The timestamps are molded into the steel struts of the clock, so that - in spite of the elaborate design - time can be read as usual. The Time Maze Wall Clock by Alessi is manufactured with highest precision in an elaborate process. When finished, the Time Maze Wall Clock is a real eye-catcher. The clock is made out of painted steel making it of great quality. Design is clever and beautifully executed. This clock is made out of painted steel making it of great quality. Besides, the design is clever and the clock function can be wonderfully executed. 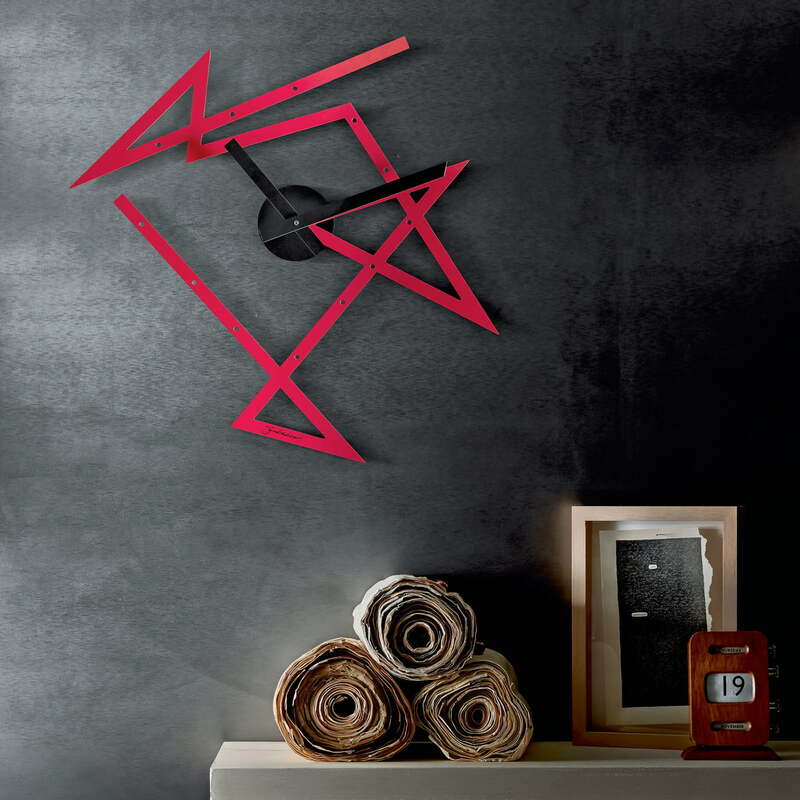 Time Maze, designed by Daniel Libenskind for Alessi, is a wall clock with a red polyline body. The mechanism of the clock is located in the centre of the structure, which is shaped by the red line.